THIS WATCH IS JUST ARRIVED, DESCRIPTION COMING SOON...IF YOU NEED MORE INFO NOW PLEASE CALL US OR SEND MAIL FOR INMEDIATE ANSWER. 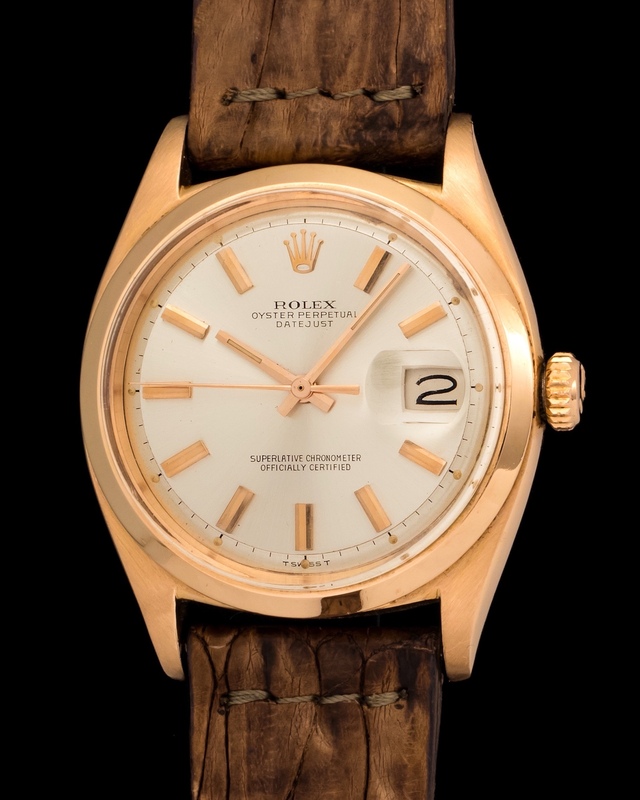 Rolex Ovetto 5015 manufactured in 1949 and cased in a 34mm oyster 14k yellow gold case. 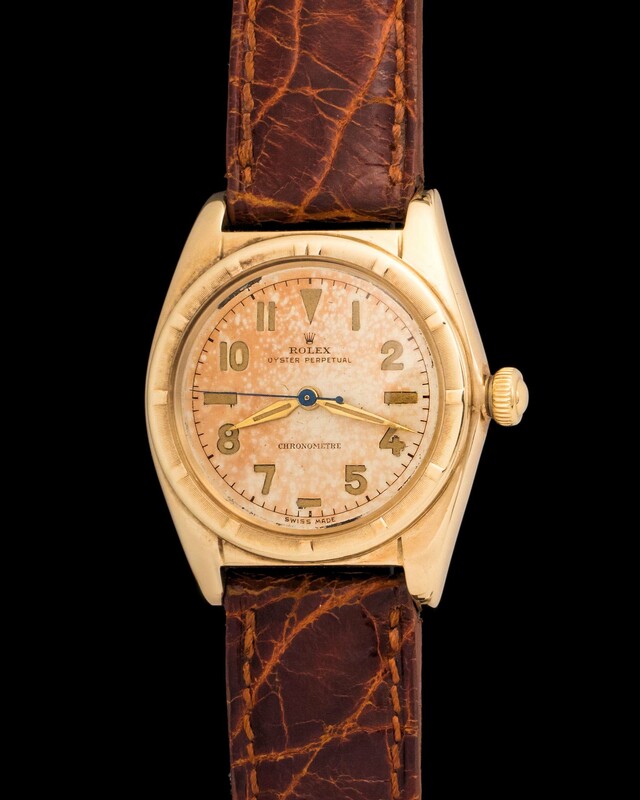 The Rolex Bubbleback is an interesting and highly collectible watch. These examples are found with a plethora of dial variations, making them a joy to collect. An interesting factor about the Bubbleback is its rounded back designed to accomodate the rather think automatic movement.